Consadole won J2-League, and got ticket to J1-League !!! 2016 J2-League(J-league division2) held season’s final game(42nd). 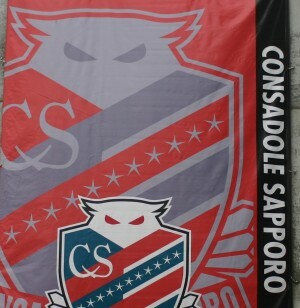 Hokkaido Consadole Sapporo came to a season’s last match with Zweigen Kanazawa on home stadium “Sapporo Dome”. Consadole could get J2-champion and J1-ticket, when this game is a win or a draw. 33,697 audience came to the “Sapporo Dome” stadium, to support Consadole players. The game ended in a 0-0 draw. Finally, Consadole won J2 League Champion’s seat, and got the ticket promoting to J1-League. Next years, Consadole will challenge to top-league. Previous PostThe 2016 J-League season starts.Next PostChanathip Songkrasin comes to Sapporo! HOME > Article > Consadole won J2-League, and got ticket to J1-League !! !